The Golden State Warriors will be hosting the Miami Heat on Sunday night, as Golden State looks to extend their three-game winning streak. Currently 39-15 on the season, the Warriors have surpassed the Nuggets for the no. 1 spot in the Western Conference. They’ll look to improve upon their 20-7 record at home this season, as the 25-28 Heat come into town. Miami is the 8th seed in the Eastern Conference and is actually better away from home this season with a 14-12 road record. Tipoff is set for 7:30 p.m. from Oracle Arena, as ESPN’s matchup predictor is giving the Warriors an 83.8 percent chance of winning this game. Golden State has been hot, winning 9 out of their last 10 games. 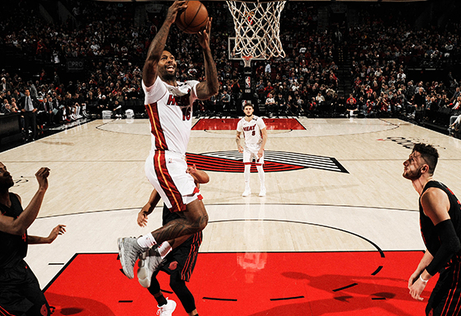 Miami is coming off a loss to Sacramento and 4-6 over their previous 10 games. Miami is coached by arguably the most underrated head coach in the NBA. Erik Spoelstra has done a phenomenal job rebuilding this Heat roster ever since the “Big 3” of Lebron James, Dwyane Wade, and Chris Bosh came to an end. Wade is finishing out the final season of his career serving as the sixth-man. The 37-year-old shooting guard is playing that role very well averaging 14 ppg, 4.3 apg, and 3.8 rpg. Josh Richardson has taken a big step forward for Miami this season. In just his fourth year in the league, Richardson is averaging 17.3 ppg this season, which is six points more than his 11.8 ppg career average. Richardson and Hassan Whiteside lead this team, as Whiteside averages 13.1 ppg and 12.5 rpg. Whiteside is also currently third in the league averaging 2.2 bpg. Golden State’s last game ended as a win in Phoenix, as Klay Thompson led the way for the Warriors with 25 points. All five of Golden States starters scored in the double-digits, as Miami will look to lean on their 6thranked defense in the league. The Warriors are first in the league in offensive rating (116.8) and dominate almost every other team statistic compared to the Heat. Miami specializes in offensive rebounding, averaging 11.5 offensive rebounds per game. Trying to stop the dominating lineup of Curry, Thompson, Durant, Green, and Cousins is a tall task for any team. 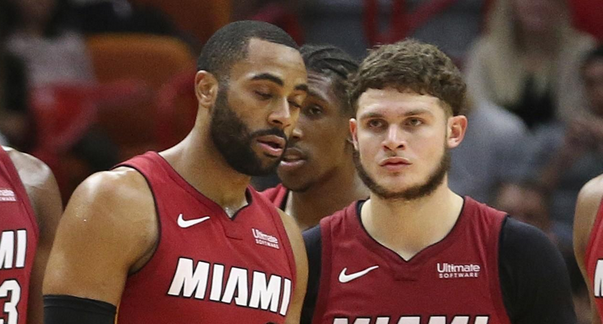 Miami is next in the long line of teams that will try to figure out the best team in the league. Dwyane Wade shot 6-of-14 from the field Friday against Sacramento. Wade’s final game in Sacramento was a solid one for the All-Star guard, despite the fact that he left the game during the first quarter after hitting the back of his head on the court. After passing concussion protocol tests, the veteran guard was back on the court in the second. 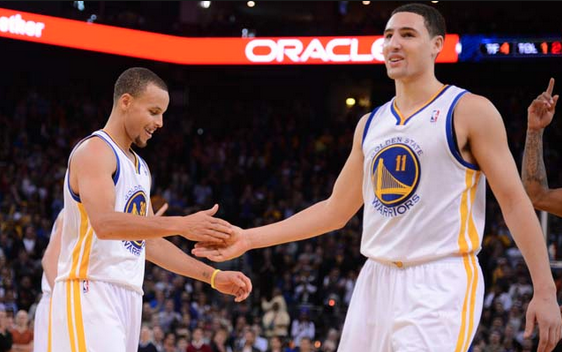 We’re siding with ESPN’s prediction in this game, as we’re picking the Warriors over the Heat on Sunday night.